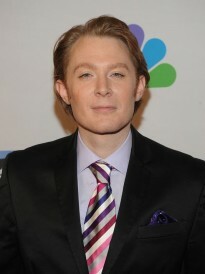 Gay singer and “American Idol” runner-up Clay Aiken is actively considering a bid to represent North Carolina’s 2nd congressional district in the U.S. House, according to two Democratic sources familiar with his plans. The sources, who spoke on condition of anonymity, said the 35-year-old Raleigh native has taken initial steps for a run, including consulting with political operatives in Washington, D.C., about a bid for the seat. Posted January 5th, 2014 & filed under Politics.